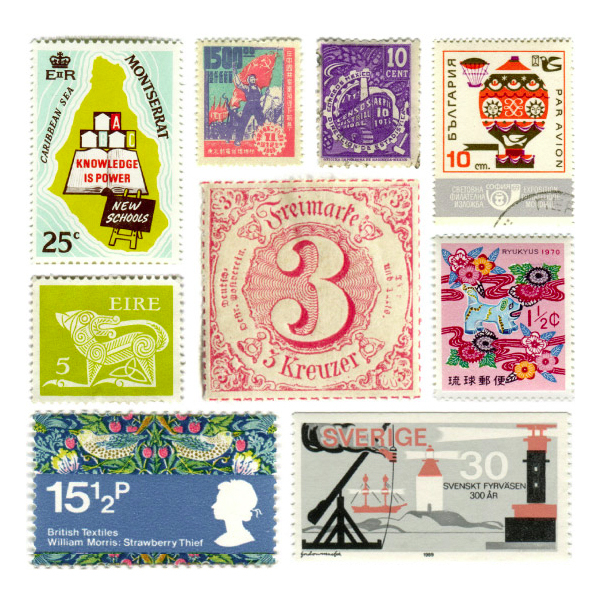 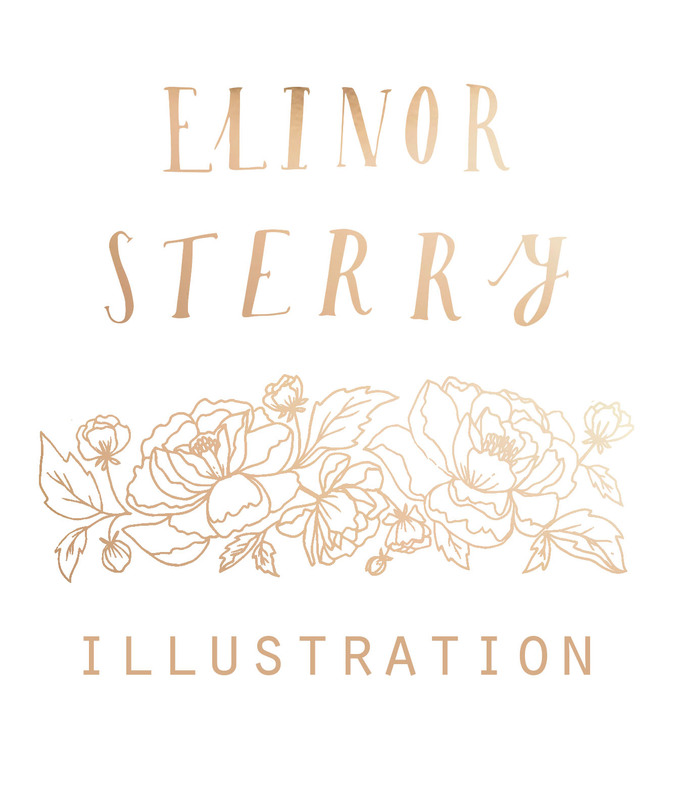 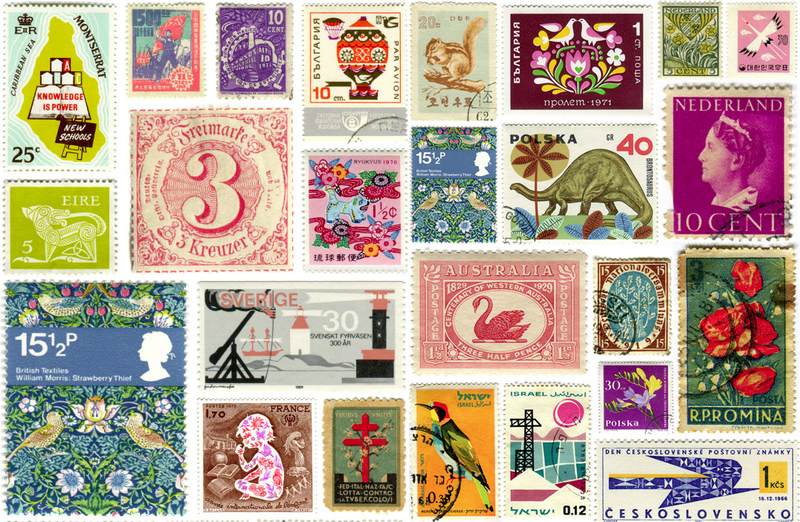 Whilst browsing Pinterest recently, (the number of hours a week I spend doing this is frankly worrying) I came across some beautiful vintage postage stamp designs. 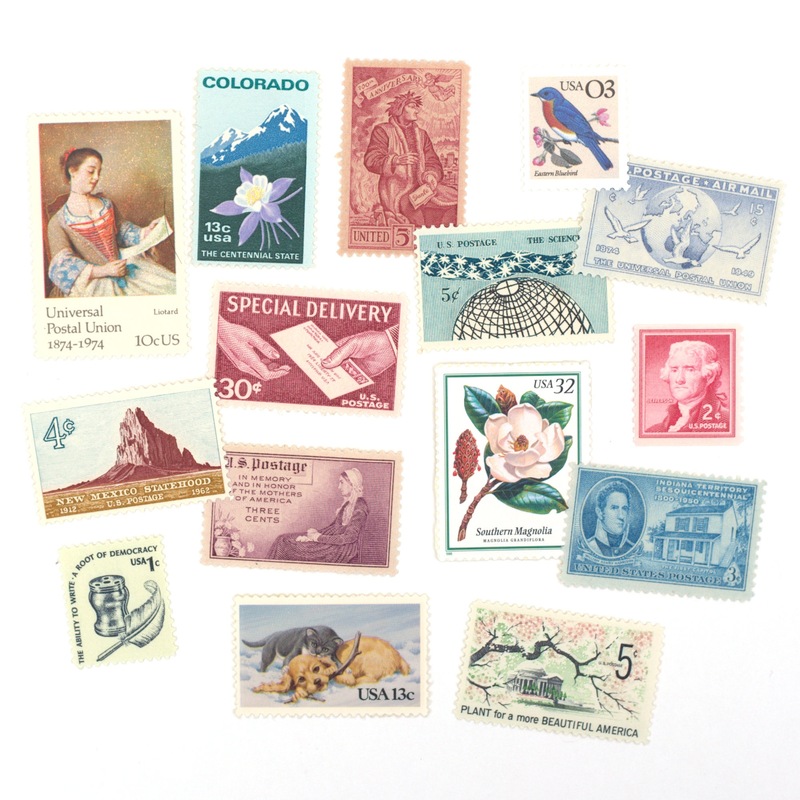 With their botanical illustration style, faded colours and old print feel, these stamps not only gave me inspiration for a new range of illustrations but also felt worth a mention to a client who I am currently creating wedding invitations for. 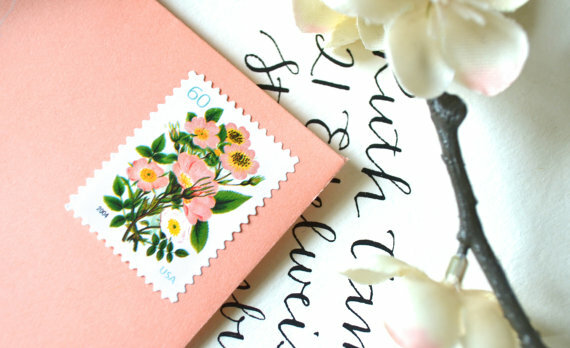 Their wedding decor and invite designs feature a lot of vintage styling and, as some of her invites will be hand delivered, I suggested that she use stamps like these on the envelopes that she delivers herself to add a bit of extra retro sparkle! 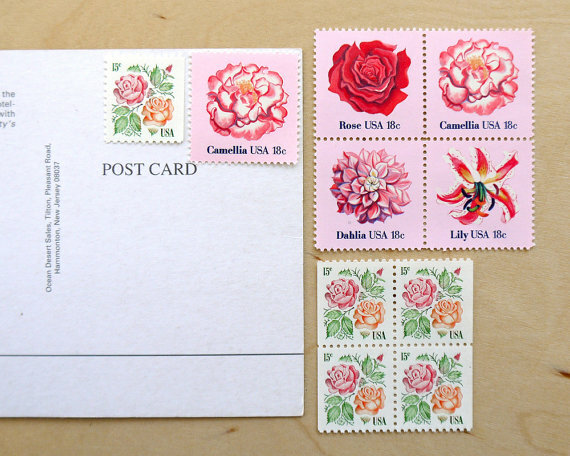 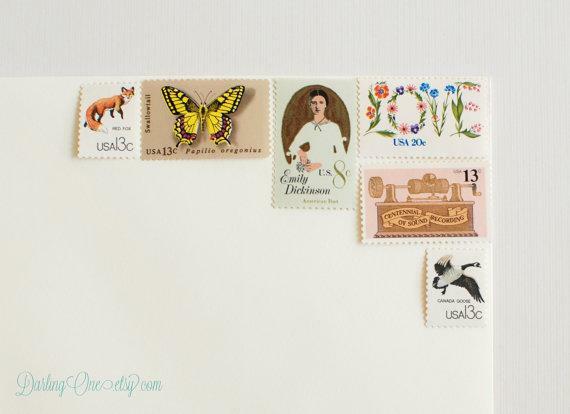 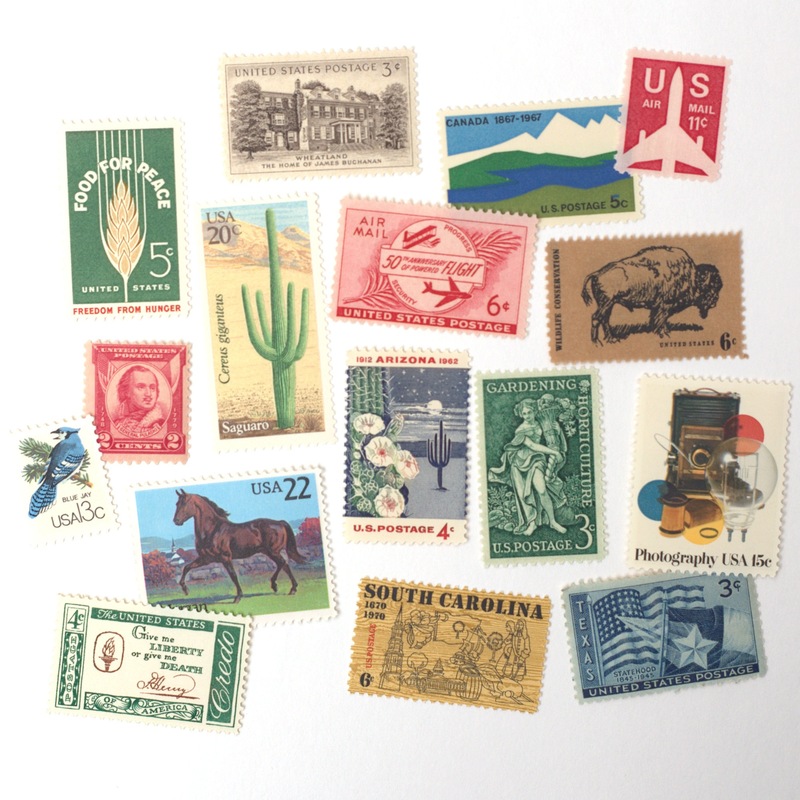 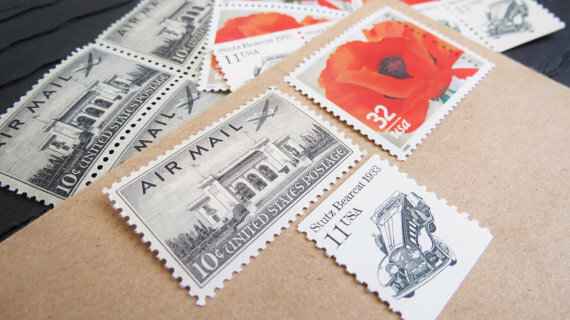 If you like the idea of using vintage stamps on your wedding invites or snail mail, you can find a range of suppliers on Etsy.